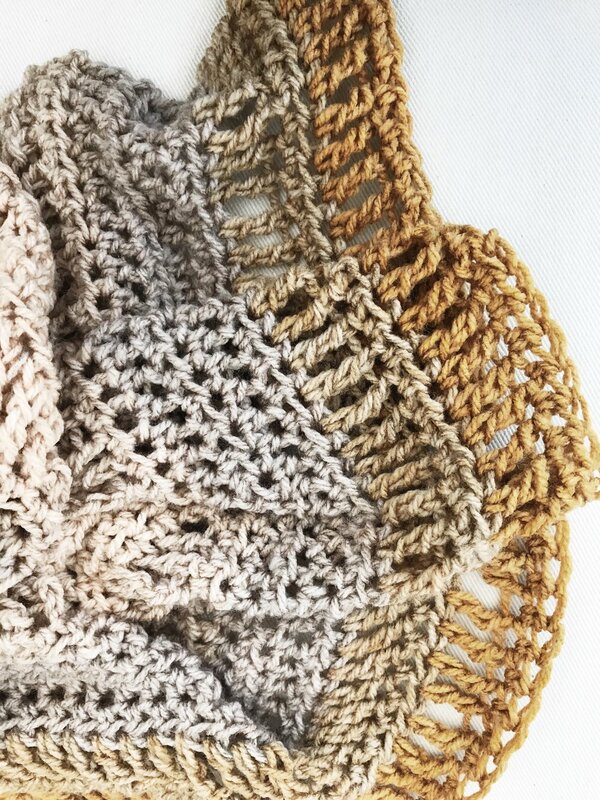 Without fail, every time I release a knit design I am asked for a crochet version, and every time I release a crochet design I'm asked for a knit version! I don't always have the time to work up every design in both crafts, but some patterns are special enough to put in the extra work. This pattern has been a long time coming, and while it's not an exact match, I'm so happy to release the Swallowtail Cardigan, a crochet interpretation of my super popular knit Monarch Cardigan. 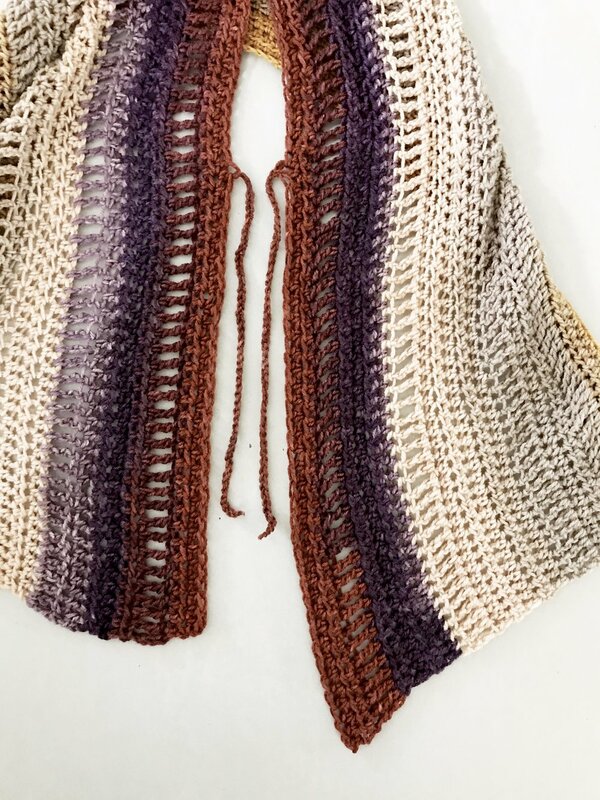 I crafted this beauty using Lion Brand's UBER popular Mandala yarn in the "Warlock" colorway. I spent the summer in LA, and having lived on the east coast for the last 12 years I am just mesmerized by the sunsets here. I love how this colorway is reminiscent of the golden hour as the sun is setting. 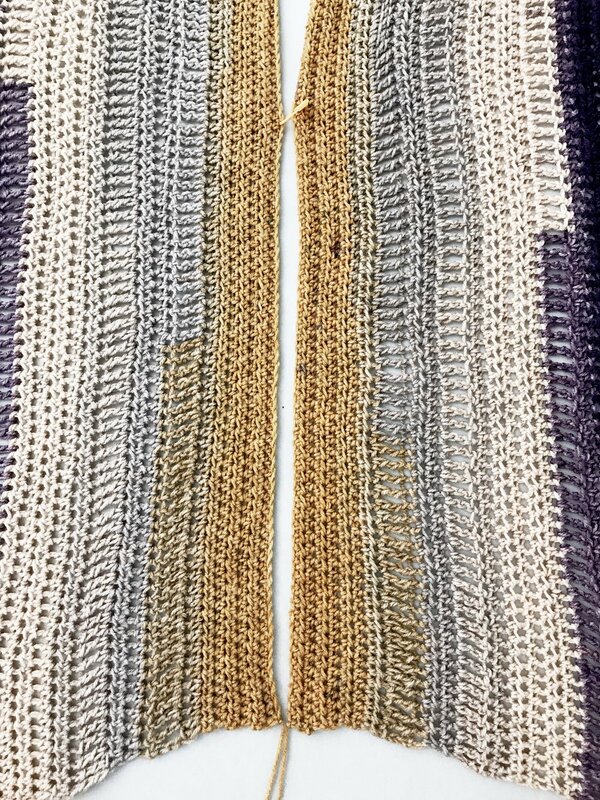 Just like the Monarch Cardigan, the Swallowtail Cardigan shape was inspired by a butterfly's wings. I've been really into the idea of transformation and shedding negative habits lately, and the concept of metamorphosis and a butterfly coming out of its cocoon really spoke to my soul so I knew it was finally time to concentrate on this crochet pattern. Please enjoy the free pattern below, or purchase an ad-free, printable PDF here. 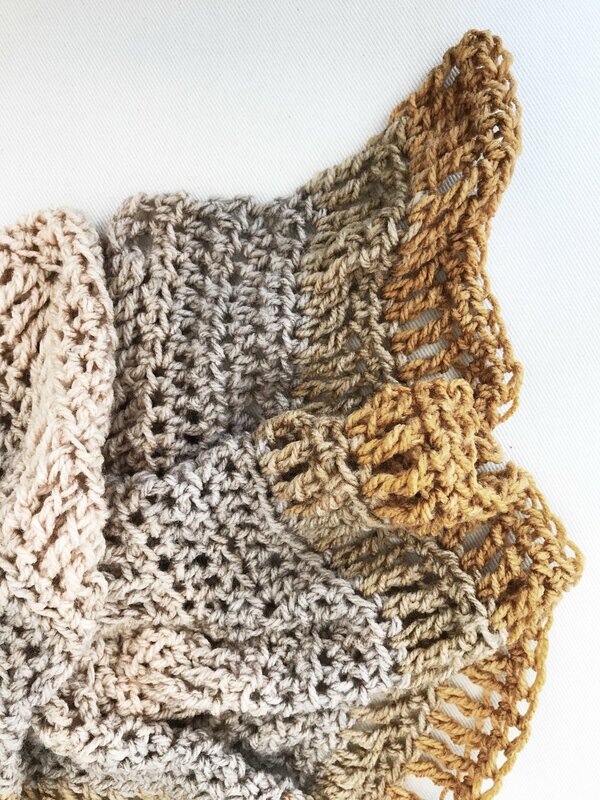 You can also purchase the yarn kit from Lion Brand here. Note: Garment is worked in 2 panels side to side that are seamed together. The ch 2 at the beginning of hdc rows does not count as a stitch. The ch 4 at the beginning of tr rows does count as a stitch, so the last stitch of these rows will go into the turning ch of the row below. Pattern is written in three sizes: XS/S, M/L, and XL/ XXL. With 6mm hook, ch 122, leaving a 30”/76cm tail. Rows 2-6: Ch 2, hdc across row. Row 7: Ch 2, hdc across row. Row 8: Ch 4, tr across row. Rows 9 and 10: Ch 2, hdc across row. Row 11: Ch 4, tr across row. Rows 12-16: Ch 2, hdc across row. Row 17: Ch 4, tr across row. Rows 18-21: Ch 2, hdc across row. Row 22: Ch 4, tr across row. Rows 23 and 24: Ch 2, hdc across row. Row 25: Ch 4, tr across row. Row 26: Ch 2, hdc across row. Row 27: Ch 4, tr across row. Row 28: Ch 2, hdc across row. Row 29: Ch 4, tr across row. Row 30: Ch 2, hdc across row. Break yarn, leaving a 30”/76cm tail. Rep all steps for second panel, using the second skein of yarn and starting with the same color the first panel started with in order to make them mirror images. Any yarn cut off in order to start with the same color can be added to the end of the skein. Lay panels parallel to each other vertically so that rows are running up and down and foundation chains are facing each other, with the long tails at the bottom edges. Count up 52 sts from the bottom edge along the foundation chains and place a marker. Using the long tails from the foundation chain, seam the two panels together from the bottom up to the marker to form the center back seam, leaving remaining 68 sts un-seamed to form the center front opening. Fold work in half to form shoulders. Count up 37 sts from the bottom edge along the sides of the two front pieces and place markers. Count up 30 sts from the bottom edge along the sides of the back piece and place markers. In each st with a marker, join yarn and ch for 12”/30.5cm to form side ties.